At Corvette Shop we know that our clients come first. Our job is to make you smile from ear to ear and give your car that much needed attention that it deserves. Below are just a few of our client comments and testimonials! I just wanted to send a special thanks to the Staff at The Corvette Shop. My car has never run so well in the 15 years I have had it. Knowing that I have a knowledgeable repair shop to call makes my weekend rides a thousand times more enjoyable. It's comforting to know there is a shop in Southern California that goes the extra mile for the customer. With great pricing and great service I will be coming back for a long time. The Corvette Shop is the only place in town I allow to touch my 1977 Corvette Stingray. 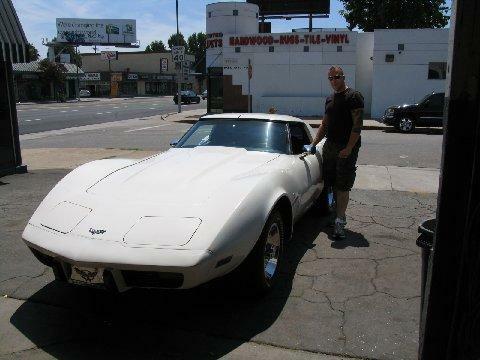 The Shop's owner, John Martello, is a straight shooter, he backs his work, and he knows Corvettes. His mechanics - Lalo and Omar - are friendly, respectful, and most importantly, they know how to work on cars. I've been taking all my cars to The Corvette Shop for almost 20 years. From my regular maintenance to a complete full frame off restoration of my 63 roadster I wouldn't trust anyone to work on my Corvettes except for John and his team. Johns encyclopedia knowledge of Corvettes have kept me from making mistakes, maintaining the value of all my cars. When it comes to finding that correct hard to find part or showing me how to keep my car performing at its best, John has always taken good care of me. Now if only I could get him to become a Steeler fan instead of his beloved Patriots you'd have one hell of a mechanic!